I will have Baby Buttercup in my Etsy shop this thursday Jan 12 at 10pm EST. 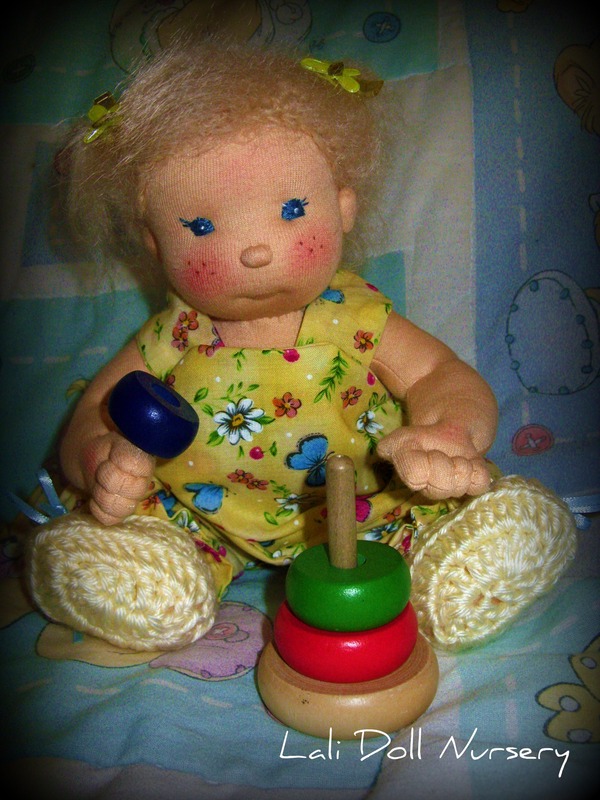 She is a 12″ button/string jointed baby. Blonde mohair, blue eyes and comes wearing the sweet yellow butterfly/flower print outfit and crochet shoes. Underneath, she wears a little flannel diaper.